THE ONLY ONLINE DECORATING PROFILE THAT HELPS YOU BECOME YOUR OWN INTERIOR DECORATOR! be your own interior designer!!! Take the Color & Design Style Profile NOW! and Discover YOUR design style and colors BEFORE starting your decorating project! 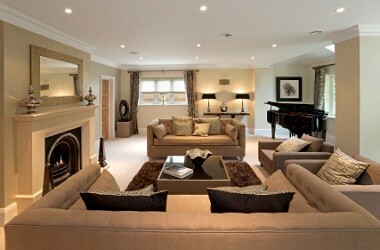 With this information you will know what you like and be able to make the right decorating choices & decisions for you! START YOUR DESIGN PROJECT WITH CONFIDENCE! Answers to your Decorating Questions & Dilemmas are minutes away. Just answer my 23 customized questions. "I want to send out a Big Thank You to Barbara Kaplan and the Bajaro Method! I sat at my laptop and completed her questionnaire to better determine my decorating style. The questions were thought provoking and really dug deep into my decorating likes. Before receiving the questionnaire results I couldn't define my style and didn't know how to complete my "look". With Barbara's input - I NOW DO! Thank you Barbara!" "Having Barbara teach me about my palette of colors has truly been life changing! I used to feel uncomfortable in my house, but not know why. Now, with a few changes of color, I feel at peace. Knowing my colors I can also now walk into a store and find the exact color that will look good on me. I cannot express enough gratitude to Barbara for this education!" "I took The Bajaro Method Interior Design Preference Profile online and for the first time it made me think about my home and my preferences. This process made me understand that my space is my sanctuary. The questions helped me learn more about my likes, dislikes, and what makes me feel comfortable. It made me consider choices outside my normal "box" of ideas. Based on the results, I plan to add more color and some items that are soothing that reflect my personality."